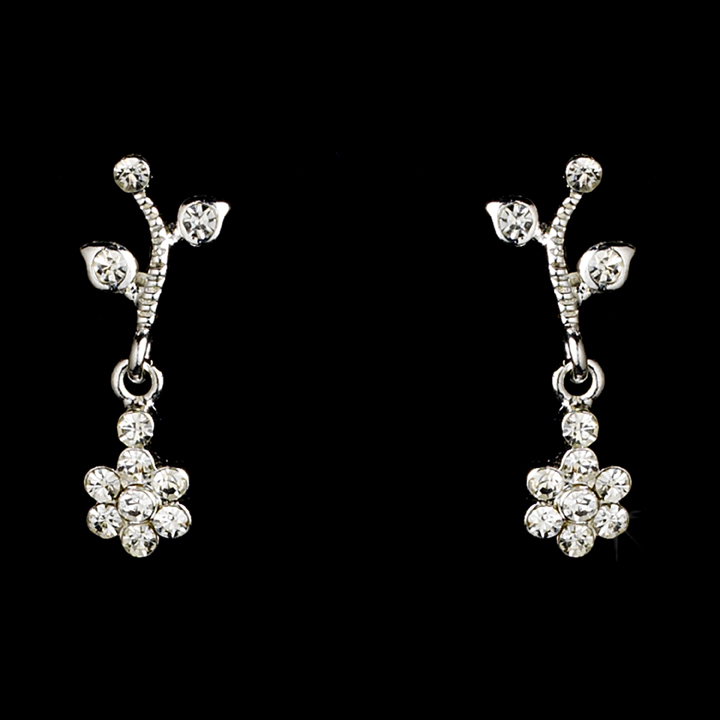 Feminine and classic, this silver plated necklace and earring set features a beautiful flower and vine design, accented with crystal rhinestones. This set is the perfect accessory to your classic, modern, or vintage-inspired wedding. The necklace measures 15" long with a lobster claw clasp. Matching earrings measure 1" long, and the bracelet measures 6-1/2". Size: (Necklace) 15" (Bracelet) 6-1/2" (Earrings) 1"